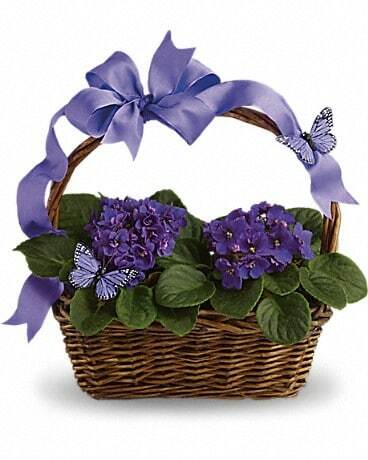 Velvety violets, beautiful butterflies, a radiant ribbon and a basketful of delight. This gift delivers so much and it's perfect for so many occasions. Think birthdays, baby showers, showering someone with love. When it comes to this basket, it's all good! not all items are available for same day delivery we suggest to order early.